Joanna Mendelssohn came an academic career after an extensive curatorial background in art museums and as the award winning art critic of The Bulletin. She was for many years the coordinator of the Master of Art Administration, at the College of Fine Arts, UNSW. In 1980 she was a research assistant on the University of Sydney's Dictionary of Australian Artists project. 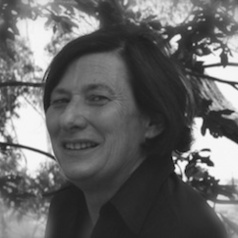 In 2003, after Professor Joan Kerr indicated problems in publishing her new research on Australian illustrators (black and white artists), she suggested that the ideal publishing future for Australian art historical scholarship lay in online publishing. After Kerr was diagnosed with terminal cancer, Mendelssohn was instrumental in organising the national collaboration of universities and cultural institutions that ensured the future of Kerr's research in the Dictionary of Australian Artists Online. She has been a CI on each of the successful ARC LIEF grants for this ongoing and expanding project, which has now evolved into Design and Art of Australia Online (aka DAAO) and is currently Editor in Chief. Her first book was the seminal study on Sydney Long (1979). This was followed by a series of studies on Lionel Lindsay. The research for her book, Lionel Lindsay: an artist and his family (Chatto & Windus, London 1988) was supported by a Literature Board Fellowship. She later revisited the ways in which the mythology of the Lindsay family had been created in her PhD thesis which was then reworked and published as Letters & Liars: Norman Lindsay and the Lindsay family (Angus & Robertson 1996). She also wrote the catalogue for the 1990 Yellow House exhibition at the Art Gallery of New South Wales and was curator for the touring exhibition Larter Family Values (2006). Her next book, Australian Art Exhibitions: Opening our eyes, co-written with Catherine De Lorenzo, Alison Inglis and Catherine Speck will be published in 2018 by Thames & Hudson. Can art really make a difference? In this article republished from The Conversation, Associate Professor Joanna Mendelssohn argues that in the creation of art, we can challenge assumed knowledge and power and “awaken the conscience of the world”, acting as witnesses to crimes against people and the environment, and enabling others to view the world differently.